← RAW vs. the Transsexuals? Greg Hill drawings of blivets, 1965, Page 00001. Courtesy of the Discordian Archives. Greg Hill drawings of blivets, 1965, Page 00002. Courtesy of the Discordian Archives. The two pages of images presented here called “The Blivit” [sic] were drawn by Greg Hill in 1965 and I would suspect were inspired by issue #93 of Mad magazine from March of that year which has a blivet on the cover. Mad Magazine #93 with a blivet on the cover. 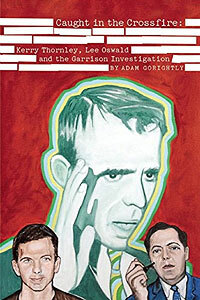 More info on this issue at Doug Gilford's Mad Cover Site. I make this assumption because Hill and Kerry Thornley were big fans of Mad, and in fact credited it as the inspiration for their own one-shot mag Apocalypse: A Trade Journal for Doom Prophets. And, if you’re wondering what the hell a blivet is, we refer you now to the ever-handy and never-wrong Wikipedia for its entry on blivets. The Hodge/Podge Transformer from the Principia Discordia. Shown here is Page 00052 of the Sacred PUD (the original Paste-Up Discordia) where Greg Hill's drawing (we assume) has been pasted on with other elements including a quotation from The Honest Book of Truth's 'The Book of Gooks.' Courtesy of the Discordian Archives. Significantly to Discordianism, a blivet appears in the Fourth Edition of the Principia Discordia on Page 00052 as part of “The Hodge/Podge Transformer,” and I think it’s safe to assume that “The Hodge/Podge Transformer” was drawn by Greg Hill when compared to his other hand-drawn blivets shown above. As a side note, there’s a weird online Flash game based on “The Hodge/Podge Transformer,” a demo associated with another game called Ossuary, which itself is based on Discordianism, though the game’s creator doesn’t necessarily want it to be known as “that Discordian game.” Here’s a puzzled review of The Hodge/Podge Transformer game demo which can be played online here. This entry was posted in art, book, discordianism, gaming, greg hill, kerry thornley, principia discordia. Bookmark the permalink. 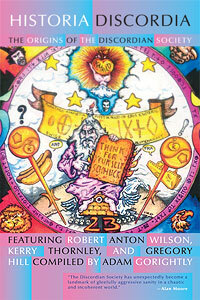 The first time I read the Principia Discordia (online 5th edition around 05/07/2012) besides laughing myself silly, half way through I remember saying to myself “this is Mad Magazine in book form” and the only name I recognised at the time was Robert Anton Wilson, having being reading I!3 since 2003-ish. I have occasionally had course to wonder, to what extent Eris has used “Mad” Magazine to inspire the minds of her flock, especially in those dark ages before the interweb carried and spread the Discordian message? As a youngster, our family moved abroad for a couple of years, due to my father’s work. As it was a non-English speaking land, entertainment in our native tongue was much in demand by the ex-pat youth and it was there I first encountered “Mad”. There was a sacred tradition amongst pupils of the British School I attended, whereby a large collection of “Mad” Magazines were held by one lucky sole who, when they left, would pass on the collection to a favoured friend. That friend would incorporate their own copies of the magazine and distribute any duplicates amongst other pupils, whilst adding each new issue they bought to the growing pile. I was lucky enough to be favoured with this honour and gleefully read the entire collection (probably around 50 or 60 magazines, specials and super specials by then – “then” being the late 1970′s and early 80′s) many times. The only drawback to being in this position was the requirement to pass on those magazines when we returned to the UK. Coincidentally, years later, whilst attending university as a mature student reading Philosophy, I had the urge to, completely independently, start my own small Operation MF. This is a good while before I became aware of such names as “Robert Anton Wilson”, “Greg Hill” or “Kerry Thornley” et al. My own small contribution to the worlds weirdness quotient was (at a time when few used emails) to write to randomly selected organisations with surreal queries, requests or complaints, purporting to come from either the Reality Liberation Front or the (usually religious) BroomKondo Council. A surprising number replied despite the weirdness of the original missive. I also enjoyed leaving typed cards bearing the legend “A Happy Yak Needs No String – BroomKondo Sutra number 23″ in any books I came across that hadn’t been taken out of the university library for a number of years. As far as I’m aware, I chose the number 23 simply because they are adjacent to each other on a type writer. As you can imagine, when I later discovered the world of Discordianism the synchronicity was striking. Maybe Eris was spreading her message in a less direct way, whilst waiting for the technology to achieve critical mass was being developed? Re: above comment. Why do you always notice errors after hitting the “post” button?? !